Pursue your passions, love your family, and say goodbye to guilt--pipe dream or possibility? Work and family, individuality and motherhood, the creative life and family life--women are told constantly that they can't have it all. One Beautiful Dream is the deeply personal, often humorous tale of what happened when one woman dared to believe that you can have it all--if you're willing to reimagine what having it all looks like. Hilarious, highly relatable, and brutally honest, Jennifer's story will spark clarity and comfort to your own tug-of-war between all that is good and beautiful about family life and the incredible sacrifice it entails. Parenthood, personal ambitions, family planning, and faith--it's complicated. 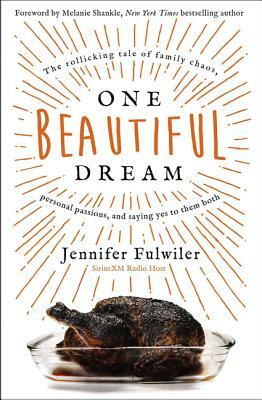 Let this book be your invitation to the unexpected, yet beautiful dream of saying yes to them all, with God's help.